This post originally appeared on CrowdCompanies.com. 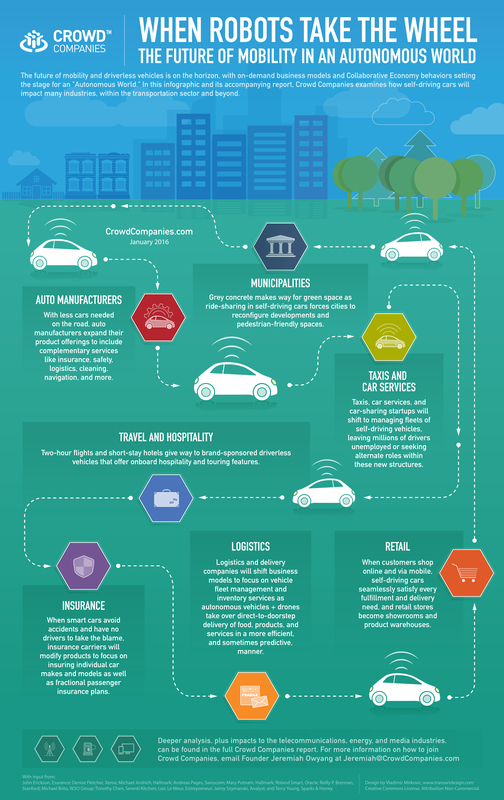 Research Analyst Jaimy Szymanski worked with Jeremiah Owyang, Crowd Companies founder, to create an in-depth research brief (for council members only) that outlines the implications of autonomous vehicles on all industries. This infographic is the high-level visual representation of this research, available to the public.